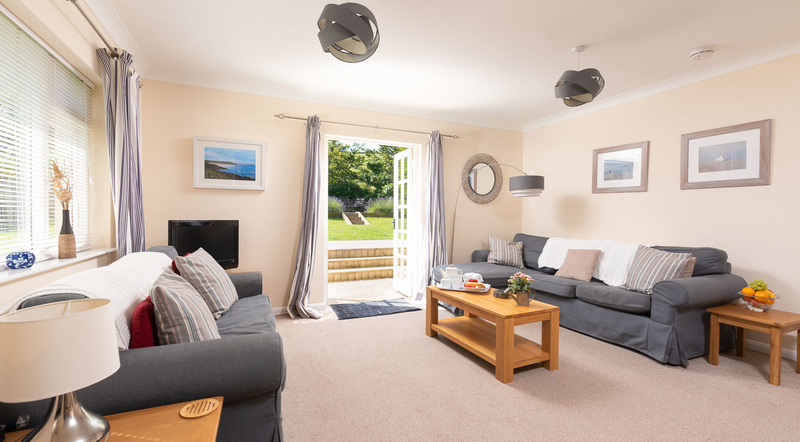 Oyster Cove is the perfect place to be if you’re looking for a holiday cottage right in the middle of the sought after North Devon seaside village of Croyde. Tastefully decorated, Oyster Cove offers a quiet and secluded holiday home for six to eight guests in three bedrooms. Tastefully decorated, Oyster Cove offers a quiet and secluded holiday home for six to eight guests in three bedrooms. The cottage is only a short walk over the dunes to the renowned surfer's beach, and another short stroll in the other direction to the centre of the lively village, with great pubs, restaurants and shops, offering something for all the family. You can pack up the stresses of city life on arrival and leave the car keys on the table as everything you need is within walking distance. Croyde village is literally on the doorstep, and exudes a quaint charm, albeit with a perfect blend of a cool and invigorating lifestyle. 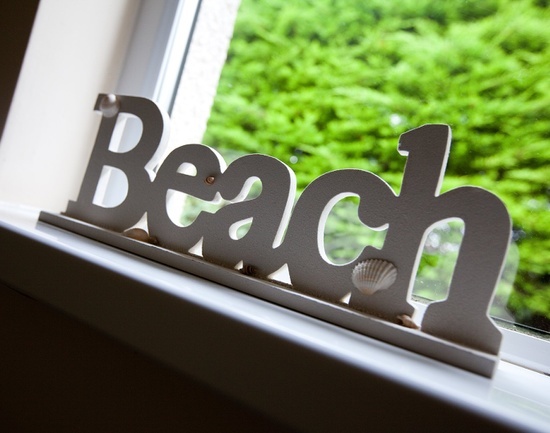 Enjoy a day surfing or just having fun on one of the many fantastic beaches in North Devon, including Croyde, Putsborough and Saunton, then stroll back to your beautiful holiday home to relax and refresh before enjoying a great night out in the village. 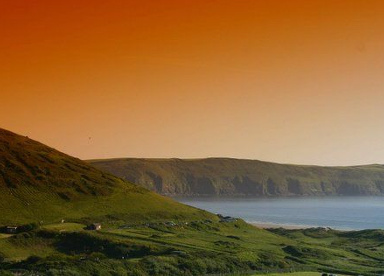 Whether it’s a romantic getaway, a fun-filled family holiday or an action-packed surfing, cycling or golf activity holiday, Oyster Cove and the village of Croyde ticks all the boxes. 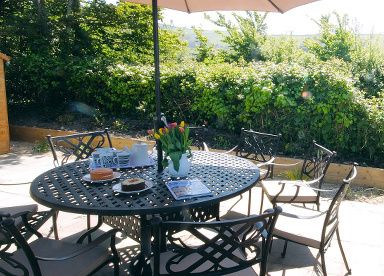 The cottage itself is ideal for families or friends, with a large open plan living area, a fully enclosed garden with a terrace for alfresco dining, and three good sized bedrooms, including a double, a twin and a fun bunk bedroom room. 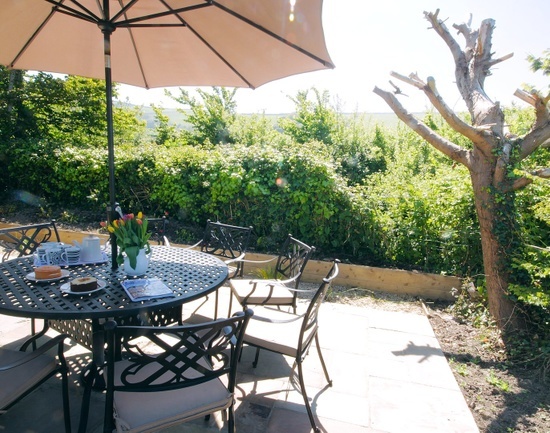 Overlooking the stunning backdrop of Downend Point and Saunton Down, Oyster Cove is surrounded by fields and is set back from Croyde Road allowing for plenty of peace and quiet, even in the peak summer months. 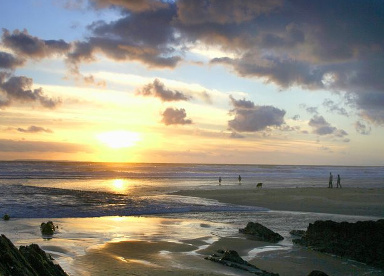 Oyster Cove offers an ideal beach holiday location with Croyde Bay, acknowledged as one of Britain's best surf beaches, just a short safe walk across the Burrows. The combination of golden sands, rock pools and dramatic dunes provide the perfect escape for children seeking an outlet for their energy. The beach is patrolled by lifeguards from April through to November, making surfing a safe and enjoyable pastime for all the family. Oyster Cove is a Croyde holiday cottage located just a two minute drive away from the famous Saunton Golf Club, whose East course is ranked in the top 25 courses in the UK, and therefore makes an ideal and cost effective base for a weekend or longer golf break for either families or mixed groups.